Mosquito bites are annoying at the least, and they can cause severe discomfort at their worst. It's a good thing that there are several ways you can combat that terrible itch. When the female mosquito bites flesh, she injects a concoction of digestive enzymes and saliva into her victim's body. Most people develop an uncomfortable allergic reaction that results in itching. Allergy medications like Benydryl or Claritin can help fight the reaction and prevent itching. For best results, begin allergy medication treatment immediately after being bitten. Always seek medical counsel before treating small children or babies. Be aware that most allergy medications cause drowsiness and other side effects. Always read instructions and warnings carefully prior to medicating. Topical treatments may be the best treatment for young children who can't resist scratching that itch. Scratching can lead to an infection, so it's important to try to find some relief. Calamine lotion: This lotion can be used to soothe many itchy skin issues, including mosquito bites, poison ivy, oak and sumac, as well as chicken pox. Hydrocortisone cream: This topical cream relieves the irritation and inflammation associated with mosquito bites. Bactine: This is an anitesceptic liquid that provides pain and itch relief while killing germs that can cause infections. After Bite Itch Eraser: This product promises quick relief. The portable pen applicator makes it easy to apply - simply rub it onto the bite. Mitigator Sting and Bite Scrub: This product is a dream if you're particularly prone to scratching. Applying it immediately curbs the impulse to scratch and neutralizes bacteria and toxins. Read and follow the directions on each product's label before applying. According to Web MD, one of the most effective ways to relieve the itch is to apply an ice pack directly to a wet cloth placed over the bite for approximately 15 minutes an hour for a period of six hours. Keep the wet cloth on the bite between applications. Certain household items can also be dabbed onto the bite and may offer itch relief. Simply apply one of the following items to a cotton swab and dab a small amount directly onto the bite. Discontinuing use, of course, if you experience further discomfort. According to the University of Maryland Medical Center, baking soda can help relieve the itching. Simply mix three parts baking soda to one part water, and apply the paste directly to the bite. 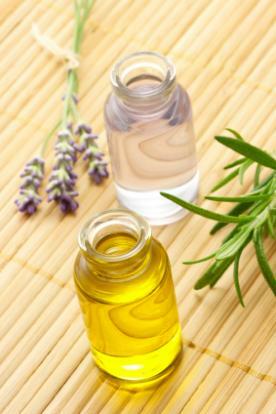 According to Experience Essential Oils, certain oils have anti-inflammatory properties that can help a mosquito bite stop itching. It's important to note that some essential oils can cause further discomfort to sensitive individuals and must be diluted with an equal amount of water. Some are simply not safe to use on pregnant women and children. If these situations don't apply to you, try dabbing a cotton ball soaked in any of the following oils onto your bite. 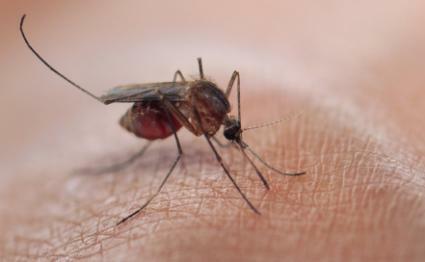 Although many people have a favorite remedy for mosquito bites, what works on one person may not provide effective relief for another. So, you may have to work your way through a number of remedies until you find one that truly relives the itch. One thing is certain; prevention is always the best cure. Aim to protect yourself and your loved ones from the itchy bite of the mosquito before an outbreak occurs.